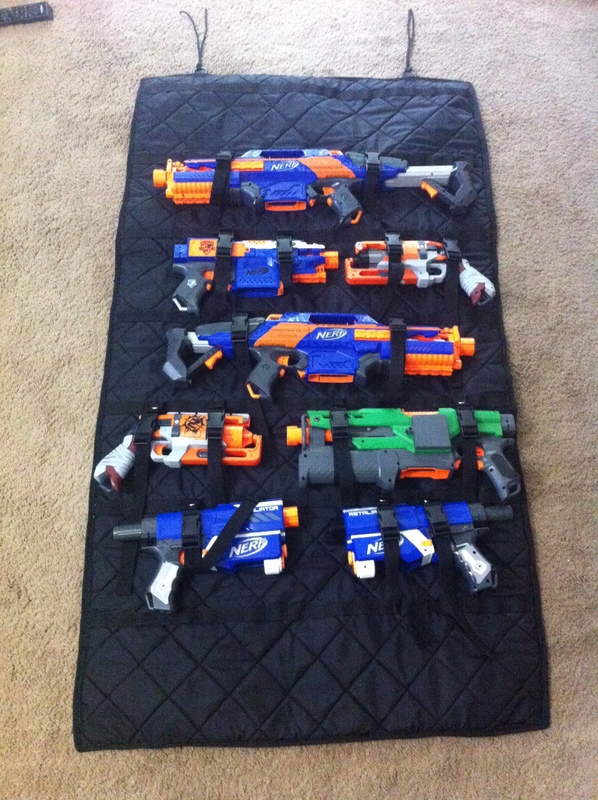 If you collect Nerf Blasters like I do, then the chances are high that you have more N-strike rail accessories than you know what to do with. Lots of blasters come with them, but, in my opinion, there aren’t many accessories that are worth using. Flashlights that barely work, and sights and scopes that are just for show aren’t much use in a Nerf battle or Humans vs Zombies game. However, a holster is. 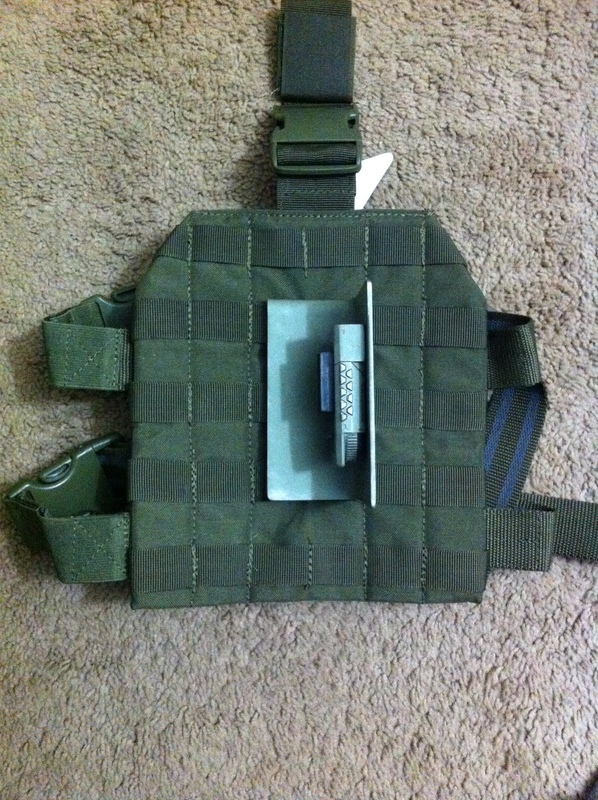 This is my solution to that problem, a Universal Nerf Tactical Holster. 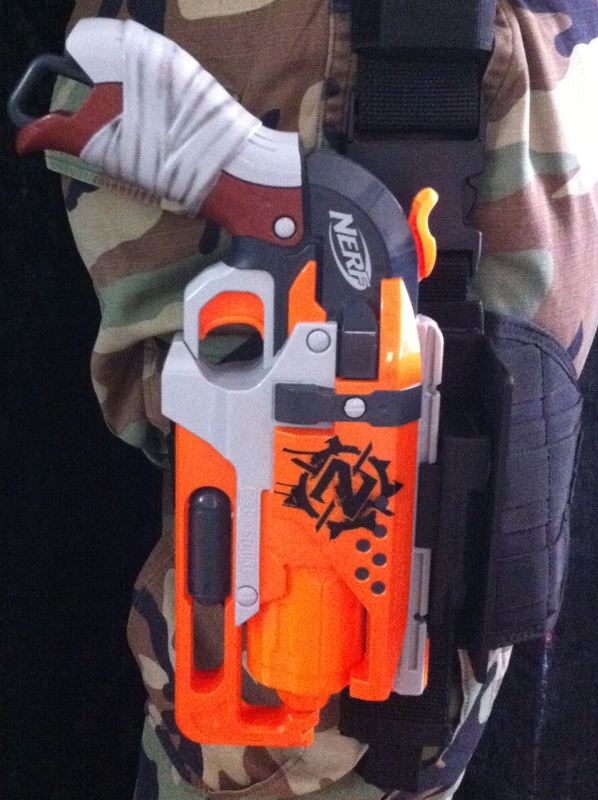 It is designed around a Nerf Recon flip-up sight. 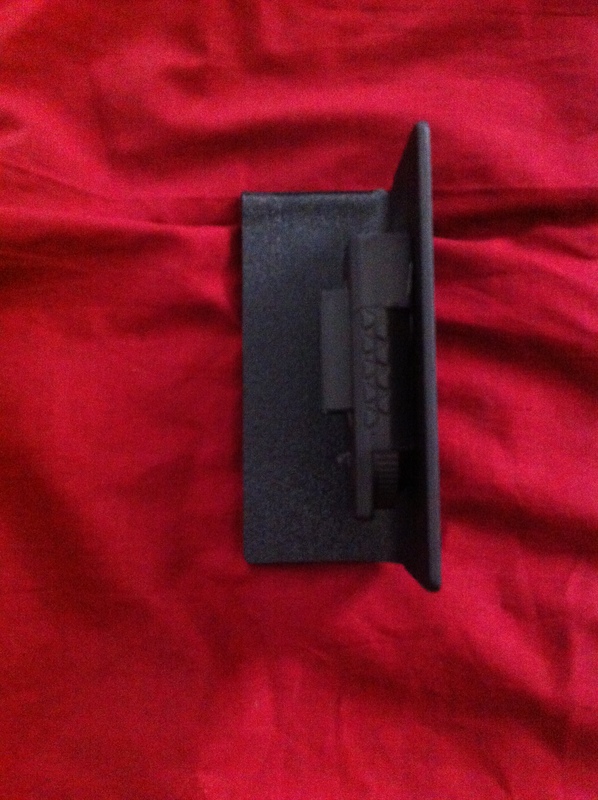 I cut the sighting piece off, and sanded the top of the accessory flat. 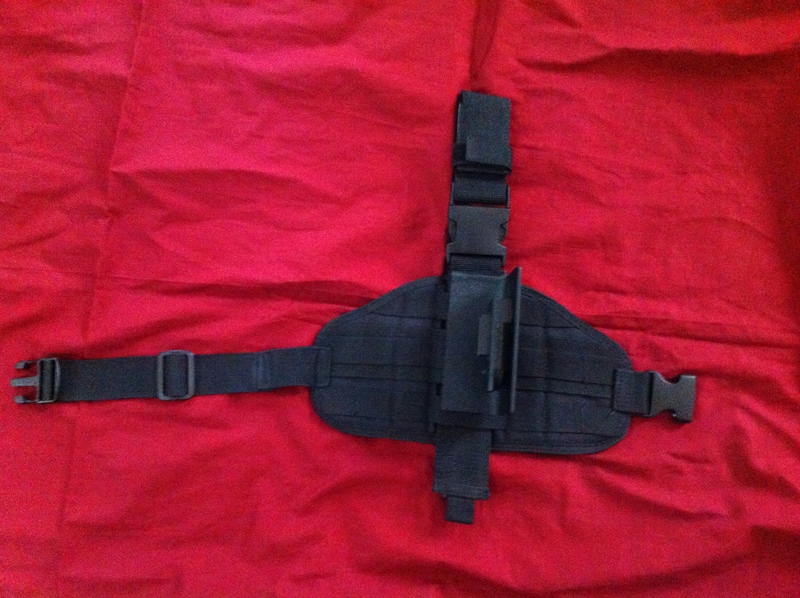 The rest of the holster is made from a sheet of 1/8″ ABS plastic. 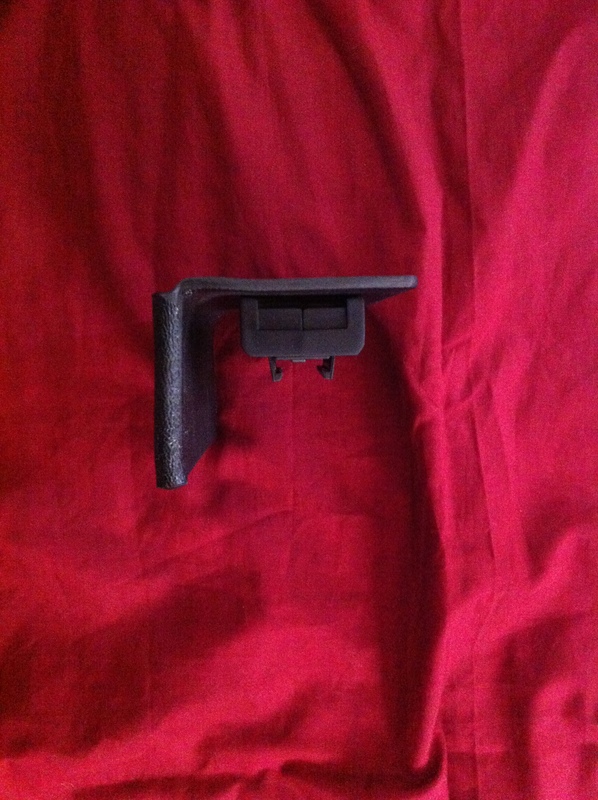 I cut it to the correct dimensions, and bent it into the shape I wanted, using my heat gun. I bent part of it back to form a belt clip. I measured the front bend in order to accommodate the width of a variety of blasters. 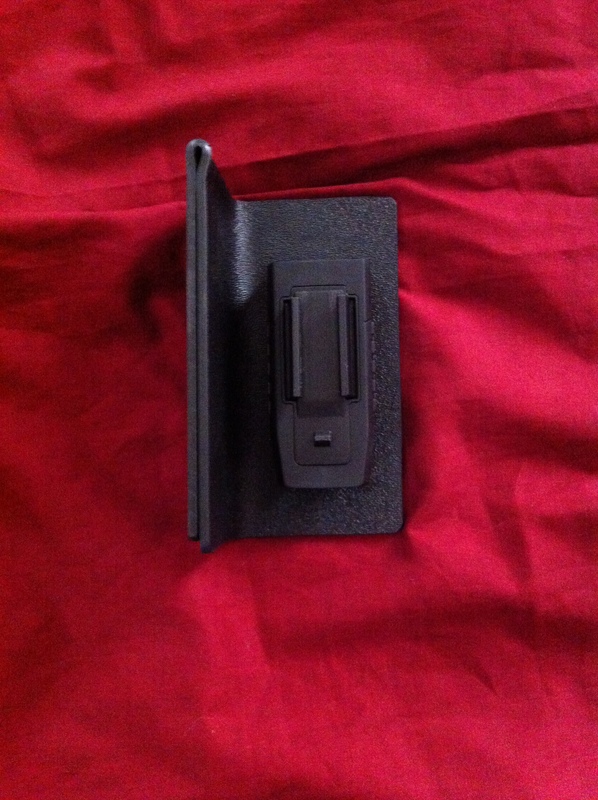 Then I used two part plastic epoxy to attach the accessory clip, and gave it a quick coat of tactical black paint. 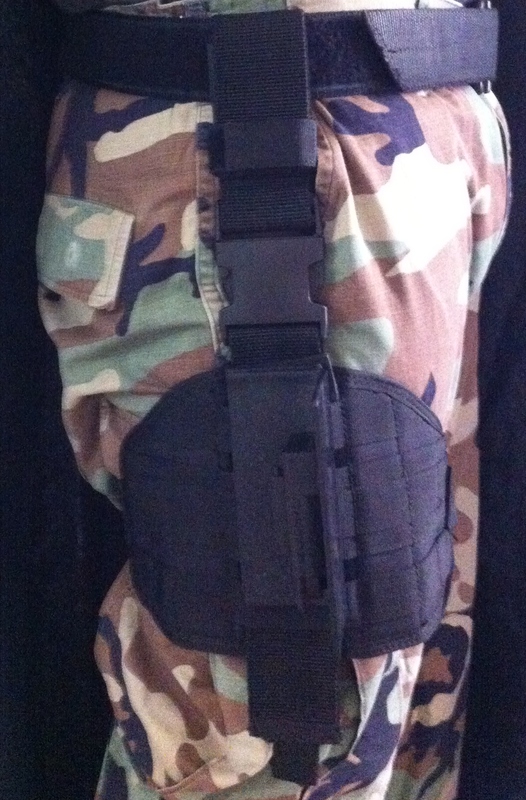 It will clip onto a belt, but it works better and looks cooler attached to my leg drop rig. 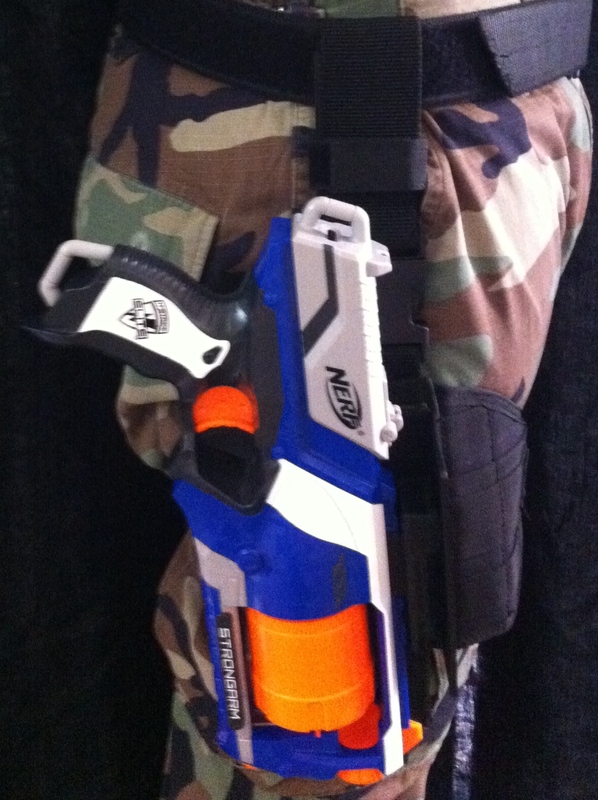 When I call it Universal, I mean that it will work with almost any Nerf blaster with a top mounted tactical rail. It works with the Firestrike. It works with the Strongarm. It works with the Hammershot. It works with the Proton. It even works with the Rough Cut 2×4. The Spectre works as well. 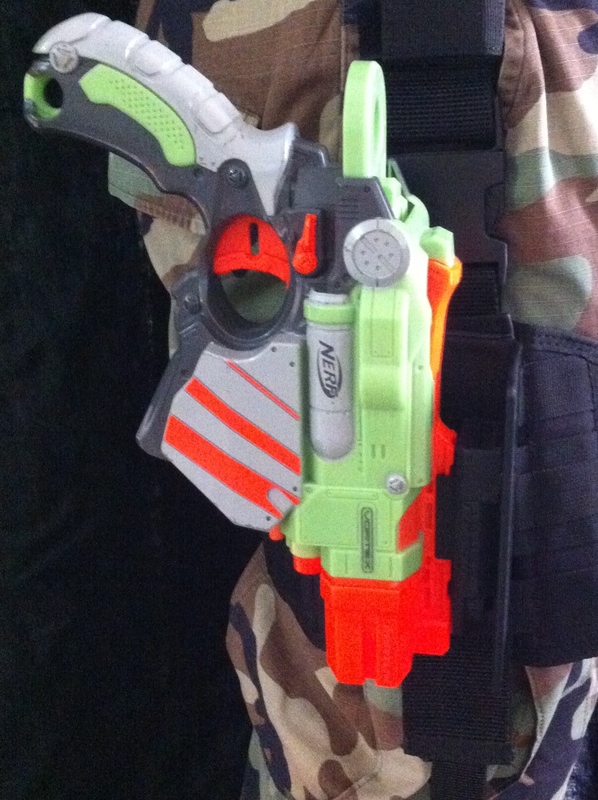 It will work with the Recon/Retaliator, the Maverick, and the Scout as well. 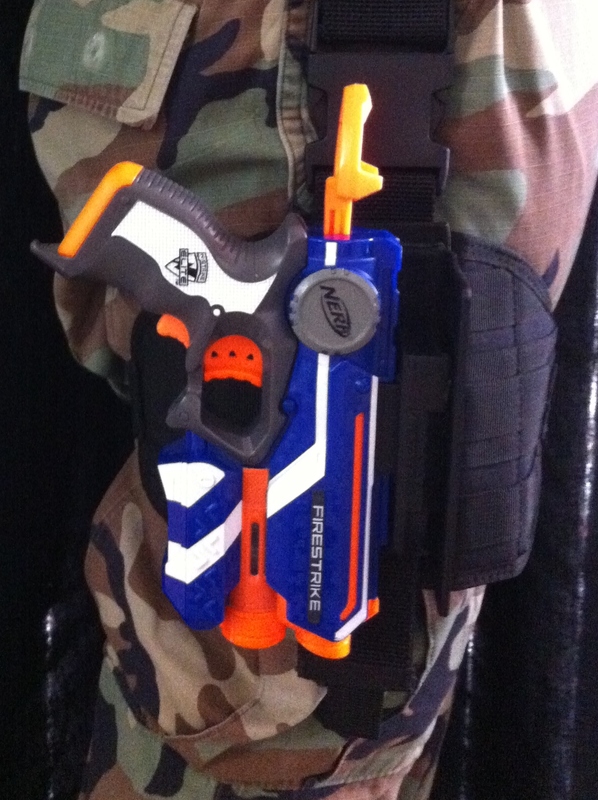 However, since the tactical rail on these blasters is mounted on the slide, there is a lot more bouncing around. 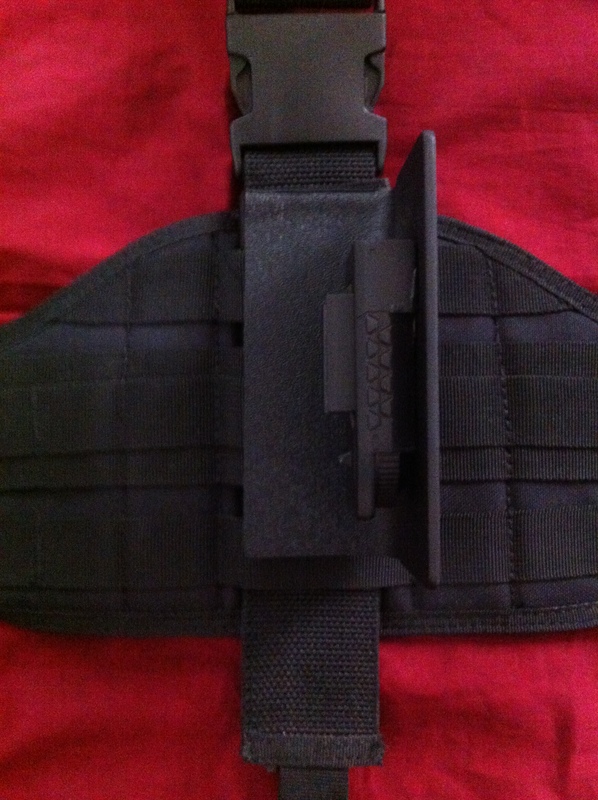 With the solid mounted tactical rails, the holster holds the blasters securely. I have run around, and jumped up and down without losing the blaster. 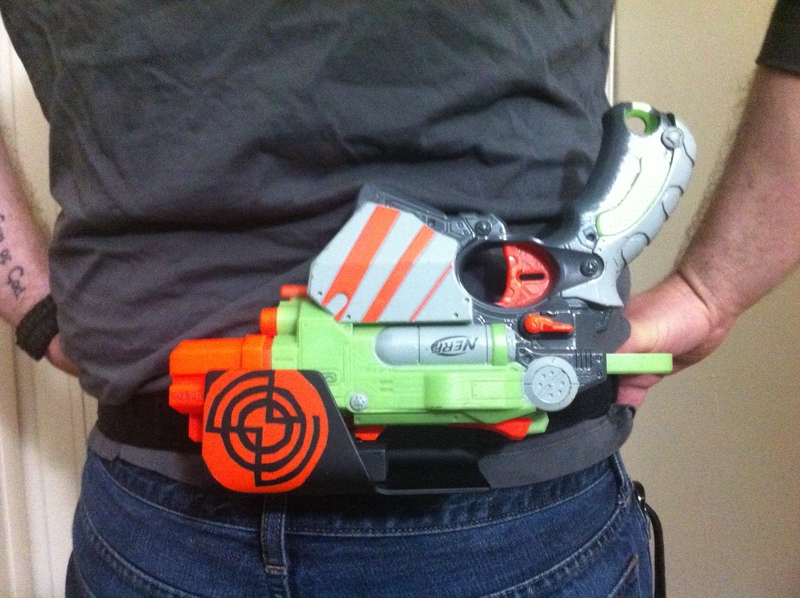 Comment if you like the holster. 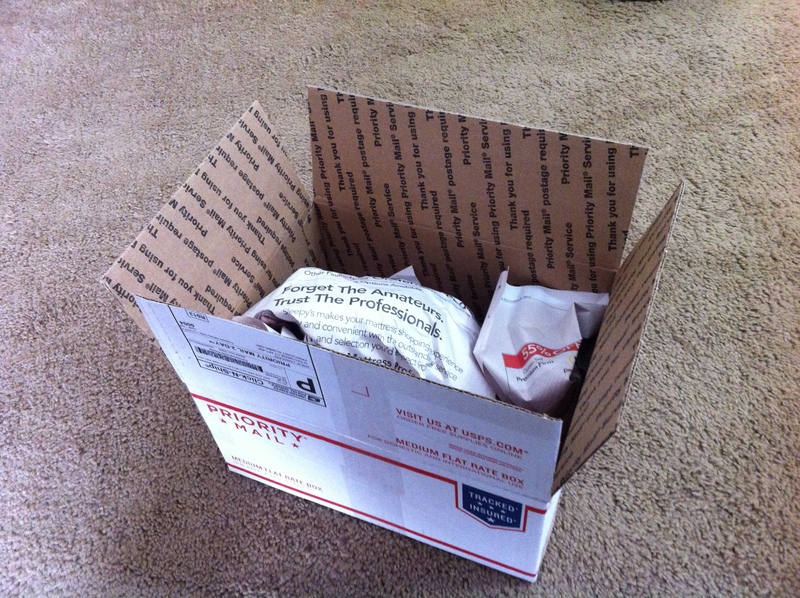 If there is enough interest, I may do a full tutorial on how to make your own. 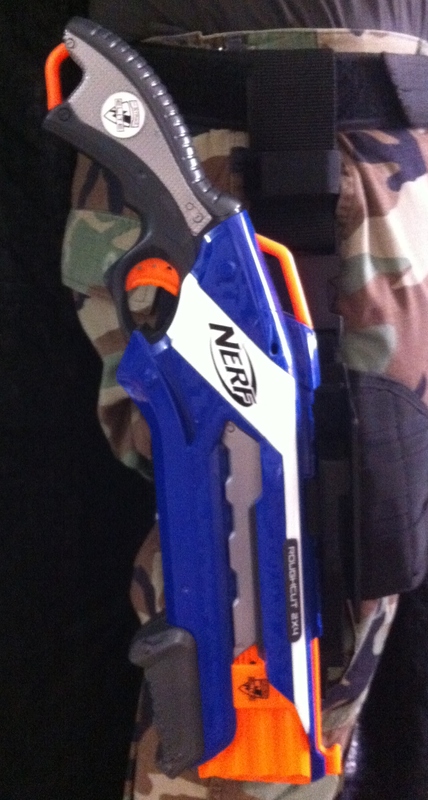 Check back tomorrow to see my take on a Nerf sniper rifle, and don’t forget the big announcement on Friday.